Reporting Encroachment Matters: What is the Surveyor’s Responsibility? The ALTA/NSPS Land Title Survey Minimum Standard Detail Requirements outline the surveyor’s responsibilities in reporting and showing potential encroachments over boundary lines in Sections 5.B.v and 5.C.iii. 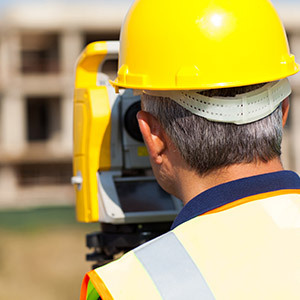 A surveyor must conduct thorough observations at the time of the field work to note the extent and nature of any potential encroachment either onto the surveyed property from an adjoining property or right-of-way, or from the surveyed property onto the lands of others. The surveyor should also note potential encroachments into burdening easement rights on the surveyed property or over any platted or a clearly defined zoning imposed setback line. The same observations then need to be shown on the plat of survey. However, it is not within a surveyor’s obligation to make a determination of ownership. That is a legal determination beyond the limits of a surveyor’s expertise. For example, it may be clear to the transaction parties that the neighbor’s driveway is encroaching over the property line onto the surveyed property. If the surveyor states that ‘“Neighbor’s” or “Adjoining Owner’s” driveway encroaches 2.7’ onto the subject property”’, the surveyor is making an assumption that the existence or use of the driveway is an illegal trespass as the driveway is clearly owned by the adjoining owner. The surveyor may be unaware of an oral or written unrecorded agreement that actually allows for the trespass. To allow for thorough reporting but avoidance of a legal opinion, a surveyor should offer the following as an observation; “Driveway crosses over onto surveyed property by 2.7’ as shown”. That statement does not make a declaration of ownership. Transaction parties often challenge surveyors to make a statement as to ownership, particularly in regard to fence lines. It must be understood that in doing so, a surveyor is extending liability by making such a declaration which again is offering a legal opinion. In some state statutes, Maryland as an example, even use of the word “Encroachment” can be construed as a determination of ownership thus rendering an opinion. Surveyors must take care to follow the Standard Requirements without overstepping and increasing liability. Securing a commercial real estate loan is complicated, but what often causes unanticipated, eleventh hour delays are simple issues that could have been avoided if the proper scope of work was followed in preparation of the due diligence reports. 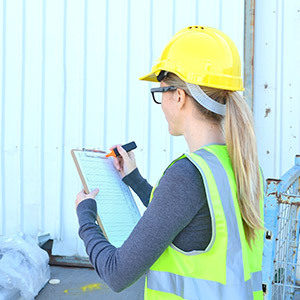 It is often thought that the components of a Phase I Environmental Site Assessment or a Property Condition Assessment are the same regardless of the lender and can be “pre-ordered” prior to securing financing for use by that lender. This is not the case and too often a report gets to the lender with a required item missing. This invariably holds up the deal. A prime example of this involves Fannie Mae or Freddie Mac deals. While much of the information collected and presented in the aforementioned reports is the same regardless of the lender, and typically follows the standard ASTM scopes for these assessments, when dealing with Fannie and Freddie, there are some very specific requirements which vary between the two entities. These items must be properly addressed or the reports will not be accepted. Additionally, both Fannie Mae and Freddie Mac can be more stringent in their review and analysis of the reports, and are generally more risk adverse resulting in additional scrutiny if the reports are not sufficiently thorough. Some key items that must comply with the lender specific scope include how many units and types of units must be inspected, where those units are located within the building(s), sampling and documentation requirements regarding asbestos, lead based paint, PCBs (transformers) mold and radon, who is interviewed and what information must be obtained, past capital expenditure information, maintenance practices, and earthquake risk assessment. Each lender has their own “hot button” issues that if not properly addressed will guarantee last minute problems. Both lenders have specific required report formats and forms which are not easily converted from one lender’s format to the other and require that the field inspector obtain this information while onsite at the property.To assist in avoiding transaction delays, it is advisable to discuss report requirements early in the process, involve the right people and determine the scope of work that best meets the anticipated needs of all involved parties. ICSC FLORIDA DEAL MAKING AND CONFERENCE - Regional Director, Peggy Henderson, will be attending the ICSC Florida Deal Making and Conference to be held at the Orange County Convention Center in Orlando, FL Aug. 27-29. BISNOW'S BLIS EAST EVENT - Bock & Clark will be a sponsor at Bisnow’s BLIS East Event being held Sept. 19th in Washington, DC. Stop by our sponsor table to meet Peggy and Jim and enter our drawing for a $100 Amazon gift card. NIC SENIOR HOUSING FALL CONFERENCE - National Director of Business Development, Jim Brown, will be attending the annual NIC Senior Housing Fall Conference in Chicago Sept. 26 – 28. 2017 CREW NETWORK CONVENTION AND MARKETPLACE - Don’t forget to register for the 2017 CREW Network Convention and Marketplace taking place at the brand new Marriott Marquis in Houston, TX. Featured speakers include Dr. Travis Bradberry and Geena Davis. Bock & Clark is a CREW Network Gold Level Sponsor.